Walsall midfielder Joe Edwards continued on the road to recovery on Wednesday evening as he played a part in the Saddlers' Checkatrade Trophy clash with Shrewsbury Town. 28-year-old, Gloucester-born Edwards hasn't started a game since rupturing his cruciate knee ligament against Blackburn Rovers in February, and has been working hard alongside Head Physio Marc Czuczman in a bid to get back to full fitness. Joe, who was named on the bench during last weekend's Emirates FA Cup - Second Round clash with Sunderland, made a twenty-minute second-half cameo during the second-half of last night's EFL Trophy defeat to Shrewsbury Town, with Liam Kinsella making way. 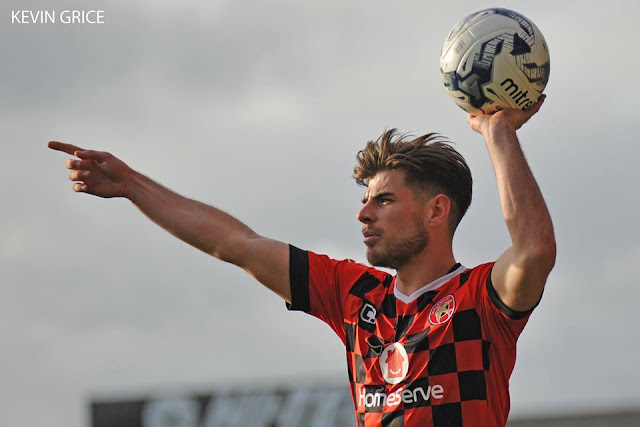 Edwards, who formed a major part of the Saddlers' midfield over recent seasons, will no doubt be keen to kick on and get back into the starting eleven as soon as possible.